Here is a grand update of Minecraft PE for your Android smartphones and tablets (iOS will appear after the testing is over). What do you think you'll see in MCPE 1.2.6 update? 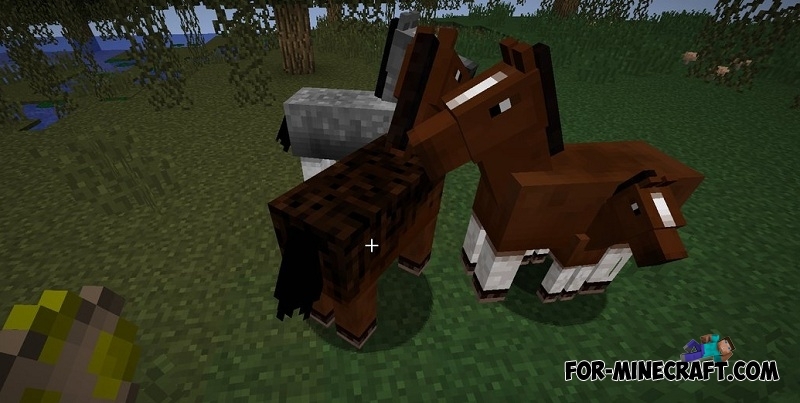 You will never guess, because the developers have replaced the texture of the horse, as well as the mule and donkey. Now these animals look more appropriate for the style of the game. This concludes the list of changes, and what did you expect? We have to see a new mob in Minecraft PE 1.3 or most likely in 1.4. Look at this addon and you will understand what kind of creature is being spoken about.